You only have to master a few basic crochet skills to be able to make almost anything that you might want to make. Even when you only know how to do a single crochet or double crochet stitch, you can make everything from scarves to blankets. But, of course, it is always fun to stretch your skills and learn to do something new in the craft. One great thing to learn are the tall stitches that use the same skills as the basic crochet stitches but look different because of their height. You can learn double treble crochet (which is just slightly taller than the treble crochet), master triple treble crochet and then go on to even taller stitches like the quadruple treble and quintuple treble crochet stitches. These crochet stitches are made using the same basic skills as the shorter crochet stitches (including the single and double crochet) but they are longer and they appear more twisted and textured because of the increased number of yarn-overs that are used to make them. Just learning how to make these tall crochet stitches is a lot of fun, and you can make lots more scarves and blankets using these stitches alone. But it is a lot more fun to incorporate what you learn into making various items, combining tall stitches with other stitches to create intriguing projects. All of the twenty free crochet patterns in this roundup use stitches at least as tall as the double treble crochet stitch. Tall crochet stitches can look like long twisted crochet chains, which makes them a great option for creating lacy crochet designs. 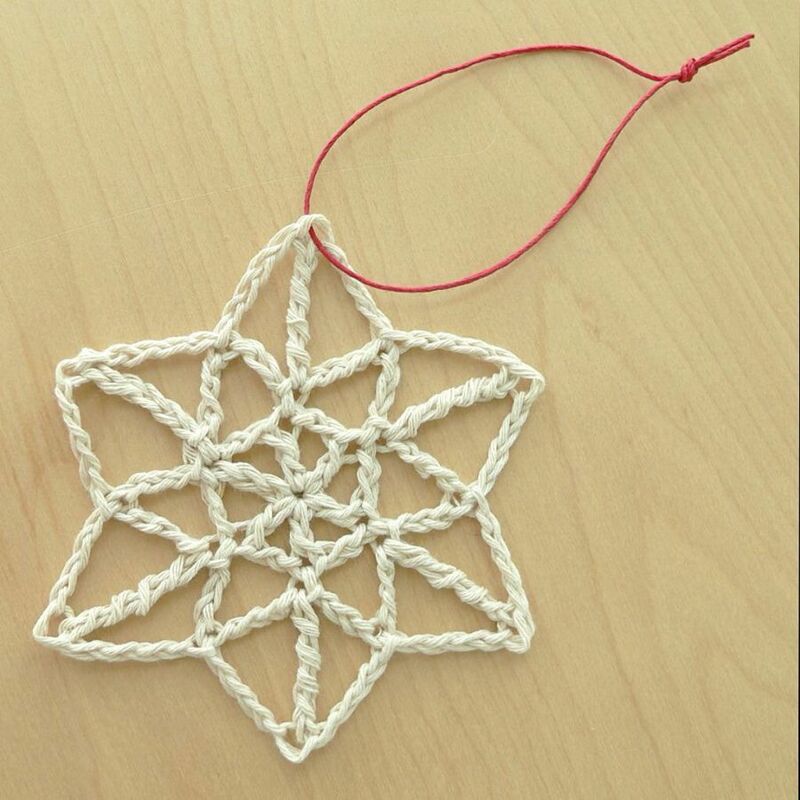 We see that here in this easy crochet snowflake pattern from Homelea Lass. Note that the pattern is written in UK terms, so what is called a quadruple treble crochet stitch here is actually a triple treble in US terms. Tall crochet stitches are also great for making petals on small flowers. This free crochet flower pattern by Flower Girl Cottage uses a double treble crochet stitch, although here it is called a 4x crochet stitch; you'll see that the double treble is sometimes called the quadruple stitch or 3x crochet stitch ... not to be mistaken with the quadruple treble which is taller! Jennifer at Fiber Flux shows us how to use a double treble crochet stitch to create an interesting look in bulky yarn. Bulky yarn is a good choice when learning these tall stitches, especially if it has good stitch detail. Jennifer's Platinum Cowl uses double crochet stitches to anchor the taller dtr crochet stitches, which is a great technique since the taller stitches can tend to get really flexible if they aren't grounded by shorter stitches. It is a smart design and one that is easy to follow; use it to quickly work up an instant gratification accessory! This one also comes from Jennifer at Fiber Flux and is another great example of the power of the dtr stitch. As Jennifer herself says, "Double treble crochet stitches give the scarf an open feel and interesting texture too!" In this case, she has used a worsted weight yarn that looks lacier than usual thanks to these tall openwork stitches. 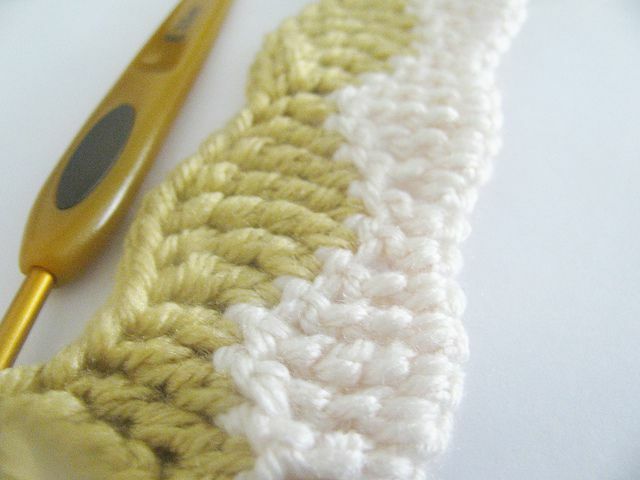 This deceptively simple square crochet pattern uses the double treble stitch but instead of working it into the loops, it is worked around the posts, to create a rarely used (front post double treble) FPDTR crochet stitch. This is taller than most post stitches and creates a great textured effect on top of the square that looks like rays of the sun. This free crochet pattern by Amelia Beebe is on the Crochetville website and can be accessed through the link on Ravelry. Tamara over at Moogly takes the dtr a step further in this crochet poncho pattern, incorporating both front post double treble and back post double treble stitches to give texture and detail to the design. Post stitches are great when worked tall like this because they maintain their height even though they are worked starting lower than the classic method of crochet. This pattern really showcases the power of that option. Tamara from Moogly uses the front post double treble crochet stitch again in this textured blanket pattern. She combines it with something even more unique: a front post quadruple treble stitch. Moogly offers video tutorials for each of these unique tall crochet stitches. The entire blanket is really plush because of the texture of these stitches and in fact it is a reversible crochet pattern. There are many ways to use tall crochet stitches besides just as post stitches, of course. In this free crochet blanket pattern, the floral details are made by crocheting double treble clusters. This crochet pattern is by Erica Dietz of 5 Little Monsters and was published as a guest post on the Oombawka Design blog. Oombawka's blog also has a free crochet tutorial for the Double Wave Crochet Stitch pattern, which includes both front post double treble and front post triple treble crochet stitches. You can use the information from the pattern to crochet anything rectangular such as a scarf, shawl or blanket. Similarly, this is a free crochet stitch pattern from Brittany Wisneski that shows us a method of creating a wave stitch that doesn't use post stitches but does use the regular double treble and triple treble crochet stitches. This guide is available as a Flickr slide with a symbol chart and written instructions for reading the chart. It is just for the stitch pattern but you can use that information to make square and rectangular projects. This pretty free crochet cowl pattern from Jessie At Home uses triple treble crochet stitches to create an extra-long variation on the classic v-stitch. It makes a really interesting design detail that adds openwork appeal to the accessory. Jessie also uses another long stitch - the double treble - in her Panda Wrap free crochet pattern. These stitches are used in combination with double and treble crochet stitches to create an undulating design. You have seen a similar effect done with single, half double and double crochet stitches worked together; this is a taller version of that familiar idea. One great way to show off the beauty of tall stitches is to use them as the main detail in a small accessory such as a piece of jewelry or, in this case, a princess crown. This free crochet pattern from The Lavender Chair uses both dtr and trtr crochet stitches to make the tallest portion of the crown. Here is another example of a small accessory where the tall crochet stitches make a big impact. In this case we have a free crochet earrings pattern from Moogly that uses double treble crochet stitches. This free crochet pattern is for a large cowl or infinity scarf. It combines the tall triple treble crochet stitches with the unique niche crochet technique of broomstick lace for a really innovative design. This free crochet pattern is for a candy holder that sits inside the center of a daffodil flower. This flower is more complex than the one shown above and uses a variety of tall stitches: double triple, treble triple and even quadruple triple. This pattern is by Divine Debris. This free crochet doily pattern from Crochet Galore also incorporates a variety of stitches. Most of them are the basic crochet stitches, but we do see the quadruple stitch. As mentioned before, this is another term for the double treble, different than the quadruple treble we saw used in the daffodil pattern above and similar to the 4x crochet stitch used in the free flower pattern by Flower Girl Cottage. We see the quadruple crochet stitch in this Southwest-inspired blanket square pattern free from Persia Lou. This crochet square pattern uses the dtr (here called the quadruple) in a really pretty way. It also incorporates a treble v-stitch. Similarly to how the double treble is alternatively called the quadruple treble (because it is, after all, the next tallest stitch after the treble), we have seen the triple treble (the next tallest stitch) called the quintuple. Again, this is not to be mistaken with a quintuple treble. This is what we see in the free crochet pattern by My Knitting Basket for a Halloween or spider-themed dishcloth or afghan square. Here we have one more free crochet pattern from Moogly, who seems to be the most outstanding designer when it comes to offering free crochet patterns that incorporate tall crochet stitches. She also offers great video tutorials (both right and left handed) for learning how to work the various tall stitches. In this crochet purse pattern, she has used a single round of quadruple treble crochet stitches as an excellent design detail that really pops out in the design of the colorful bag.